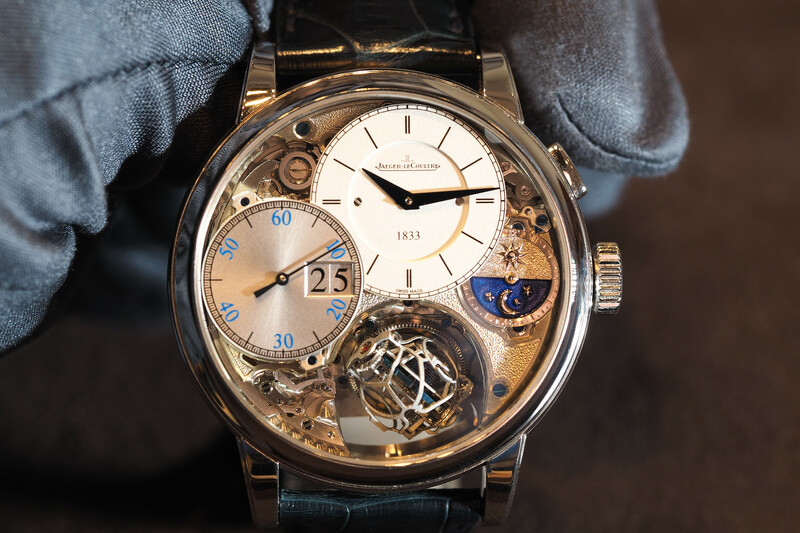 The modern iteration of Manufacture Royale is just five years old, however, the company’s roots date back to 1770. According to the brand, “Manufacture Royale workshop turned watches into beautiful pieces of art dedicated to European royalty and elite.” And its founder was none other than the famous French philosopher Voltaire. The Androgyne is the brand’s most distinctive collection, with unique articulating lugs that are designed to easily conform to almost any wrist, not to mention giving the watch its unmistakable aesthetic. The case measures 43 mm in diameter by 10.2 mm in thickness and consists of 52 components, including a bezel fixed to the case with 12 screws. It’s available in a variety of finishes, including: stainless steel, glacier PVD coated stainless steel, pure bronze, full black PVD coated stainless steel, full black PVD steel with rose gold and rose gold. 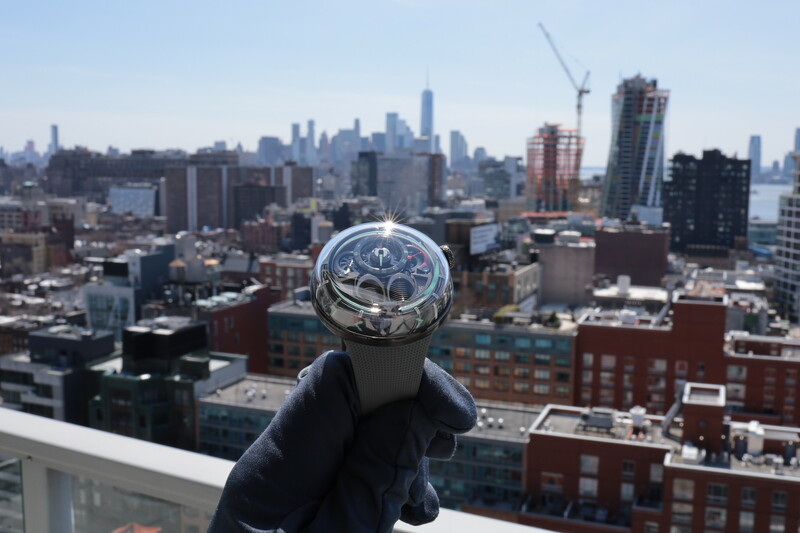 The dial is open worked, offering a view of the tourbillon that’s prominently displayed at 6 o’clock, as well as the mainspring and barrel at 12 o’clock. Both are supported by bridges that are shaped like oversized sword-hands, matching the hour and minute hands, which are also sword-shaped. A shield engraved with the Manufacture Royale name and logo is screwed to the bridge at 9 o’clock. The watch is powered by in-house caliber MR02 which has a flat hairspring and free-sprung balance wheel that beats at 3Hz. The manually wound mechanical movement consists of 178 total components (including 17-jewels) and a power reserve good for 108-hours. Notably, the escape wheel and lever for the tourbillon are in silicon (which are easy to see thanks to their bright purple and blue color). The mainplate is made of brass that has been rhodium plated, hand chamfered, polished and decorated with a sunray Côtes de Genève motif – all visible through the see-through caseback. 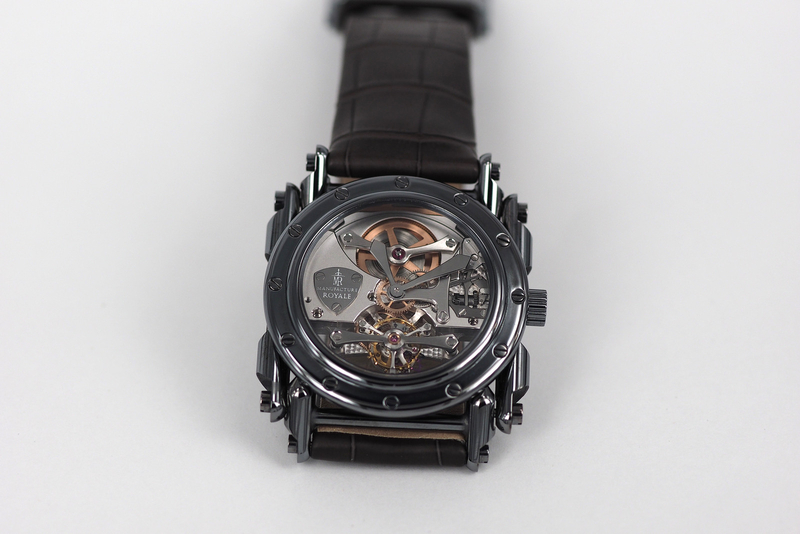 Please note that one of the models (pictured) features a fully skeletonized movement, skeletonized hands and a more complicated flying tourbillon, which in this case is supported underneath, but with no support bridge on the top. Manufacture Royale is a relatively new watch brand, even if their roots go back to the 18th century. They have a partnership with Tec Ebuaches to create exclusive movements, and are continually increasing the amount of work they do in-house. The design of the Androgyne is distinctive enough that you will not mistake it for any other brand. But not at the cost of good taste. Further, the unique lugs make the watch extremely comfortable on the wrist. And, as you can see, the finishing is first rate. 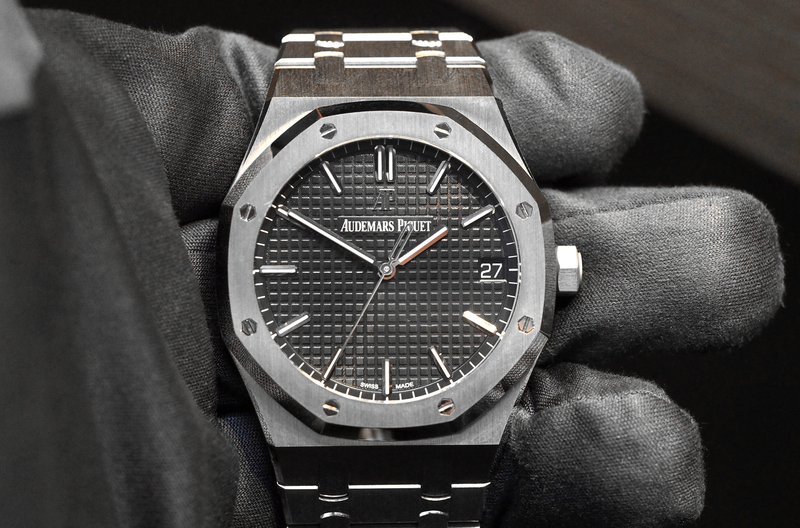 Each model is paired with a handcrafted, rolled-edge alligator strap with a buckle that matches the case. Starting price is $52,000 in steel, which is a relatively good value considering the complicated hand finished tourbillon movement inside. For more, visit Manufacture Royale.